Doesn't the Bible Suggest Christ Was Born in September Rather Than December? The time of year that Jesus was born is a matter of some debate, and there are extra-biblical sources that make a strong case that he was indeed probably born around the traditional date of December 25th. However, if we were to look at the Bible alone for clues, alternative theories abound besides the traditional date, the most common being that Jesus was born sometime in September. Those who propose that Jesus was born in September make their case using the following points: first, at the time of Jesus’ birth, there were shepherds in the fields watching their flocks (Luke 2:8). 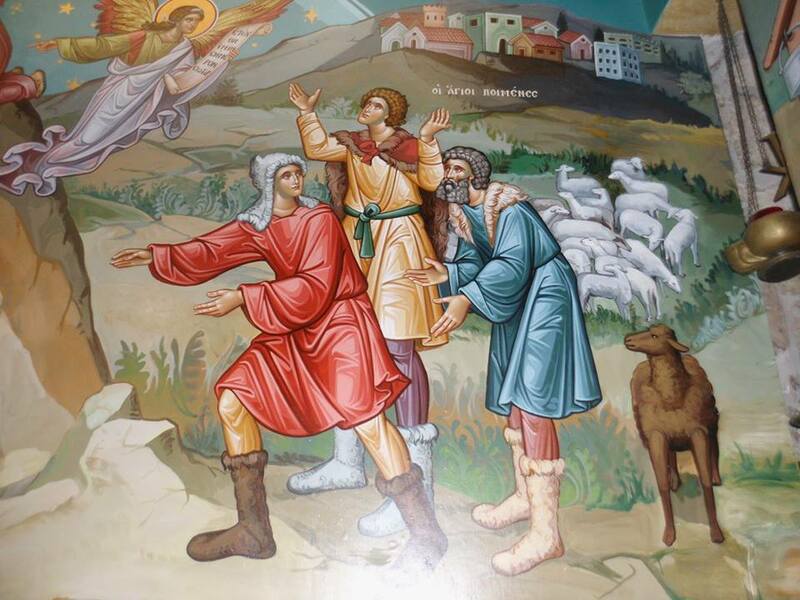 According to some sources, shepherds were not normally in the fields during December, due to the cold and wet conditions in Judea during that time of year. Therefore, Luke’s account suggests that Jesus may have been born in late summer or early fall (i.e., in September). The problem with this argument is that the average low temperature in Bethlehem in December is in the forties — the same as Jacksonville, Florida. Those who tend to make this argument falsely think that December in Judea is like England, Russia or Alaska. Bethlehem is situated at the latitude of 31.7. As Cornelius a Lapide (1567-1637) remarked during his lifetime, one could still see shepherds and sheep in the fields of Italy during late December, and Italy is at a higher latitude than Bethlehem. Even in our own days some shepherds watch their flocks in Bethlehem in December. Second, the idea of a September birth of Jesus includes a consideration of the census affecting Mary and Joseph (Luke 2:1–4). Some argue that Roman censuses would not have been taken in winter, as cold temperatures and poor road conditions would have made participation in a census difficult. However, others point out that Roman officials were not all that concerned with the burdens they placed on the citizenry. It was either obey Caesar or else; ease and convenience did not factor into the law-making process. Moreover, as stated above, the climate of Palestine in December could be rather mild, so it wasn't a terrible inconvenience to travel at that time due to weather. A census was usually called for in the fall after the harvest, but it may have not expired till the end of the Roman year, which was December 31st, and which may be why people waited till the last minute, so that there was "no room in the inn," just like today most people wait till April to do their taxes. Third, and most significant, the theory that Jesus was born in September depends on the timing of John the Baptist’s birth. These biblical facts lay the groundwork: John’s father, a priest named Zechariah, was taking his turn to serve in the temple when the angel Gabriel appeared to him and announced that Elizabeth, Zechariah’s wife, would conceive a son (Luke 1:8–13). After Zechariah returned home, his wife conceived, just as the angel had said (Luke 1:23–24). Gabriel then visited Mary to announce the miraculous conception of Jesus, and this visit came in the sixth month of Elizabeth’s pregnancy (Luke 1:26, 36). Another important detail: Zechariah “belonged to the priestly division of Abijah” (Luke 1:5). Using the above information, the calculations are made thus: the priests in the Abijah division served from June 13—19. Assuming that Elizabeth conceived shortly after Gabriel’s announcement to Zechariah, her sixth month—the month that Gabriel visits Mary—would be December or January. Assuming that Mary conceives shortly after Gabriel’s announcement to her, Jesus would have been born nine months later, i.e., August or September. There is still one problem with using those calculations to arrive at a September birth of Jesus. We just aren’t sure exactly when the Abijah division of priests served. The priestly divisions were created by David and instituted during Solomon’s reign (1 Chronicles 24:7–18), but the Babylonian exile required a “reset” of the divisions and their rotation (Ezra 2). Zechariah’s division could have served in mid-June, but other sources calculate Abijah’s course to have ended on October 9 of that same year. An October conception of John would place Jesus’ birth in December or January. And this is how it seems to have been. Josef Heinrich Friedlieb (1810-1900), in his Leben J. Christi des Erlösers published in 1887, has convincingly established that the first priestly course of Jojarib was on duty during the destruction of Jerusalem on the ninth day of the Jewish month of Av. Thus the priestly course of Jojarib was on duty during the second week of Av. Consequently, the priestly course of Abijah (the course of Zechariah) was undoubtedly serving during the second week of the Jewish month of Tishri — the very week of the Day of Atonement on the tenth day of Tishri. In our calendar, the Day of Atonement would land anywhere from September 22 to October 8. Zechariah and Elizabeth conceived John the Baptist immediately after Zacharias served his course. This entails that John the Baptist would have been conceived somewhere around the end of September, placing John’s birth at the end of June, confirming the Orthodox and Catholic celebration of the Birth of Saint John the Baptist on June 24. The second-century Protoevangelium of James also confirms a late September conception of the Baptist since the work depicts Zechariah as High Priest and as entering the Holy of Holies — not merely the holy place with the altar of incense. Furthermore, on the day of the announcement by the angel Gabriel to Zechariah that Elizabeth would conceive John, Luke 1 tells us that Zechariah was offering incense while the people waited outside for him (Luke 1:21), which indicates it was the Day of Atonement when the High Priest would offer incense inside the Holy of Holies alone and the people would anxiously wait for him to emerge, since if he was found unworthy he may be stricken dead for entering the Holy of Holies in an unworthy manner. The rest of the dating is rather simple. We read that just after the Virgin Mary conceived Christ, she went to visit her cousin Elizabeth who was six months pregnant with John the Baptist. This means that John the Baptist was six months older than our Lord Jesus Christ (Luke 1:24-27, 36). If you add six months to June 24 you get December 24-25 as the birthday of Christ. Then, if you subtract nine months from December 25 you get that the Annunciation was March 25, just as it is celebrated by the Orthodox and Catholics. All the dates match up perfectly. So then, if John the Baptist was conceived shortly after the Jewish Day of Atonement, then the traditional Orthodox and Catholic dates are essentially correct. The birth of Christ would be about or on December 25. In the final analysis, whether Jesus was born in December or September is not an issue essential to your salvation. Usually, supporters of the September date are reacting against the fact that December 25 was the ancient Roman pagan holiday of the winter solstice. But it should be noted that the Christian observance of December 25 had nothing to do with paganism originally nor does it now; in fact, the establishment of the festival of the Birth of the Unconquered Sun by Aurelian in the late third century was a way to unify the Romans against the Christians, who in Rome were already celebrating the birth of Christ in December, and perhaps the conception of Christ on March 25 (it was perhaps believed Christ died on the same day he was conceived), according to early testimony. Saint Hippolytus of Rome (170-240) wrote in passing that the birth of Christ occurred on December 25: "The First Coming of our Lord in the flesh occurred when He was born in Bethlehem, was December 25th, a Wednesday, while Augustus was in his forty-second year, which is five thousand and five hundred years from Adam. He suffered in the thirty-third year, March 25th, Friday, the eighteenth year of Tiberius Caesar, while Rufus and Roubellion were Consuls." If anything, pagans borrowed their holiday from Christians, and not the reverse.